1.75 lb. Hudson Bay Axe head outfitted with an 18" curved hickory handle. 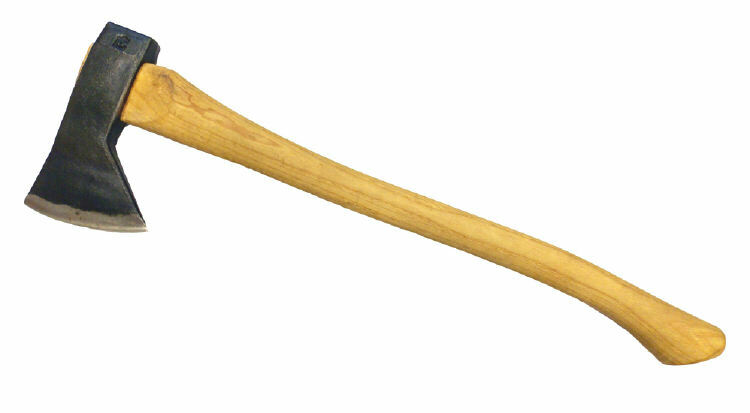 One-handed camp axe. Used for light splitting, chopping, driving tent pegs, etc. Hand sharpened, tapered bit for cutting and light splitting. Body coated with black enamel and the cutting edge in clear lacquer to deter rust.